ADIPO-3 comes from the aromatic resin of the Pistacia lentiscus tree from the Mediterranean region. Obtained by an eco-responsible supercritical C02 extraction method, this highly active oil zeros in on adipocytes for targeted treatment. PHYTOMER scientists have discovered that it intervenes both with fat, to boost its elimination, and with the support tissues, to strengthen them and demonstrate record firming performance. On the cutting-edge of green technology, PHYTOMER researchers obtain this marine complex by combining two activators with remarkable properties: an oligofurcellaran and a blue micro alga. 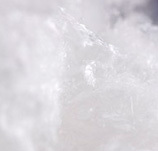 Oligofurcellaran is a marine sugar obtained using an environmentally responsible extraction method. It was selected because of a high molecular weight that enables it to form a protective shield on the surface of the skin and prevent cutaneous dehydration. The blue micro alga is grown in photobioreactors and obtained through a 100% green process. 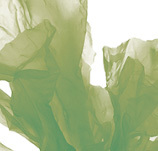 PHYTOMER researchers chose it for its exceptional depolluting properties. Upon application, the ALGORESET biotechnological activator helps protect skin from pollution and encourages the restoration of a non-polluted aspect. Armeria maritima is a seaside plant with pink flowers. Armeria comes from the word “armor” in Celtic and means “seaside”. It is found on the coasts of the English Channel and the Atlantic (Vendée and Brittany regions of France). 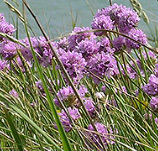 Scientists at PHYTOMER have discovered that Armeria maritima is capable of living on industrial wastelands containing high levels of heavy metals; demonstrating its exceptional ability to eliminate soil pollution. Following the principle of marine biomimicry, scientists at PHYTOMER use Armeria maritima extract as a purifying facial treatment and to protect the skin against pollution and cigarette smoke. 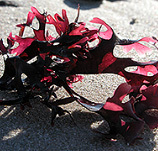 Chondrus crispus is a polymorphous red alga that has a “curly” aspect (giving it its name “crispus”). It generally measures between 7 and 15 cm in length. It is very common in the Iroise Sea, on the Atlantic coasts, from Norway to Gibraltar, and at the same latitude on the American coasts. 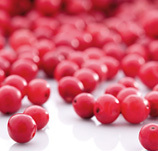 Scientists at PHYTOMER have discovered that it is particularly rich in amino acids and polyunsaturated fatty acids. They use its oily extract to moisturize and nourish the skin. Extract of green microalga Chlorella Vulgaris; Eco-Chlorella is high in peptides and amino acids naturally present in the dermis. It has the power to restructure the skin by providing a new, stronger and more toned architecture. 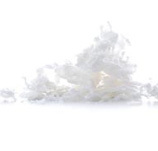 This ingredient is obtained from a biotechnological extraction method that respects both the microalga and the environment: enzymatic cleavage (is there another word that can be used for “cleavage” maybe “split”?) . 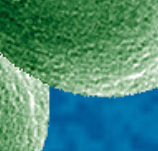 Placed in an aqueous medium, the Chlorella Vulgaris is cut by a natural enzyme, without the addition of solvent or a chemical product, to obtain Eco-Chlorella. PHYTOMER scientists selected this extract for its exceptional skin firming properties so that skin regains its firmness and tone*. 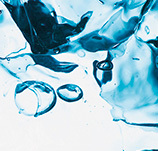 PHYTOMER scientists offer a new super-powerful ExoPolySaccharide solution for problem skin: Absolute Marine Matifier, with matifying and anti-inflammatory properties. This high-tech marine sugar corrects blemishes and provides a comprehensive cleansing effect to leave skin healthy and balanced. 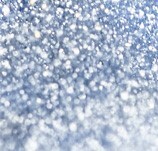 The EPS AMM deposits an invisible natural film on the surface of the skin; which traps sebum like a micro-sponge. After 1 hour, shine on the skin diminishes and this effect lasts for 8 hours after application without drying the skin. It also penetrates into the heart of the skin to inhibit the inflammatory process*. It thus helps to reduce skin lesions and therefore contributes to improving the texture and appearance of the skin. *Ex-vivo tests on the ingredient. Éternelle Marine is an extract from the age-old blue micro-alga Phormidium, an incredible marine gem that has been on Earth for billions of years. Cultivated at the PHYTOMER marine biotechnology center in photo-bioreactors, it can develop in conditions very close to its natural environment and keep its protective antioxidant properties intact - properties that have ensured its longevity for thousands of years. PHYTOMER scientists have selected this biotechnological ingredient for its outstanding biomimetic ability to delay skin aging. 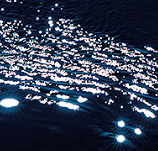 Éternelle Marine owes its survival and longevity to a highly developed photo-protection mechanism that it has developed to adapt to the extreme conditions of life. This defense system is based on Thioredoxin, a potent antioxidant molecule found naturally in the skin. Once deposited on the skin, Éternelle Marine is able to stimulate the natural synthesis of Thioredoxin, by a biomimetic effect, for enhanced antioxidant protection. 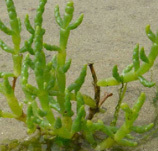 Glasswort is a green seaside plant present in warm areas. Its Latin name, Salicornia, means “salt antler”, pointing to its toleration of salt. It is a halophilic species, meaning that it can survive in very high salinity when submerged during high tide – without becoming dehydrated. Scientists at PHYTOMER have discovered that Glasswort possesses carrying and regulating membrane channels, which allow it to control water evaporation in order to prevent dehydration. 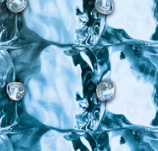 Following the principle of marine biomimicry, at PHYTOMER, these channels are used to stimulate the production of aquaporins, proteins that transport water and urea in the skin's cells. Glasswort oil reinforces the role of our own natural moisturizing factors to reveal smooth, soft and supple skin. High-tech marine infusion that consists of strengthening and restructuring plankton sugars from marine biotechnology combined in a complex of intensely soothing minerals and trace elements. A unique symbiosis of biomimetic ingredients, PHYTOMER scientists use it to instantly neutralize inflammation and strengthen the skin's capacity to protect itself* on a daily basis. 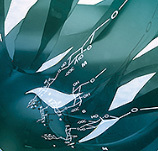 Naturally synthesized by a planktonic marine organism, collected in Guérande, this biotechnological ingredient performs a triple-action, 360 degree skin reorganization. It redensifies the skin's support structure by strengthening the support fibers, consolidates the architecture of the skin for better support and improves cell cohesion on the surface of the skin**. Day after day the skin is visibly firmer and more toned, as if lifted. *Global Marine Reshaper. **In vitro test on the ingredient. This high-tech concentrate of Oligofurcellaran, extracted from the red alga, Furcellaria lumbricalis, widespread in Scandinavian waters is hydrolyzed by a green method (supercritical CO2 extraction) and then made into a complex with marine minerals. PHYTOMER scientists discovered that HYDRAFUSION was faster and more effective than hyaluronic acid to plump-up the skin with moisture*. Instrumental studies show that from day one, the results exceed the score obtained with twice daily application of hyaluronic acid for two weeks*. The level of hydration improves over time. *In-vivo test on the ingredient. Porphyra Conchocelis is an alga found on Mediterranean rocks and on the northeast and northwest coasts of the Atlantic (Brittany coastline). 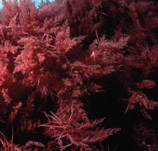 It belongs to a family of red algae and gets its name from its purple color. It can measure several dozen centimeters in length. Scientists at PHYTOMER have discovered that it secretes acids which can dissolve the mother-of-pearl in shells. 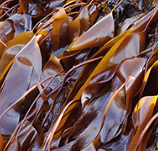 The Porphyra Conchocelis cultivation program was set up so that these marine acids could be harvested without impacting on the development of this alga in its natural environment. Following the principle of marine biomimicry, scientists at PHYTOMER use the acid secretions of Porphyra Conchocelis as exfoliants: Marine AHAs. These totally natural ingredients promise high tolerance for the skin, while ensuring maximum effectiveness. 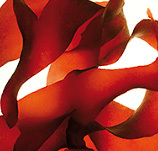 Corallina officinalis is a red alga or coral alga, hence its name “corallina”. It contains marine calcium. It is 4 to 5 cm in height and has a pale pink color. It is found along the Atlantic coastline and on certain coasts of Japan, China and Australia. Scientists at PHYTOMER have discovered that Marine Calcium is assimilated by the skin 100 times more effectively than mineral calcium. 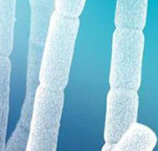 It therefore has a more significant impact on the improvement of cellular respiration. 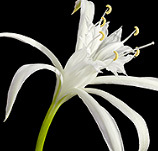 Its main use at PHYTOMER is to increase the skin's resilience and restore its radiance. Monostroma obscurum is a green alga composed of a single layer of cells, called a monostromatic structure, giving the alga its name. This single layer of cells makes it very frail and it can easily disintegrate. Scientists at PHYTOMER have discovered that because of this natural fragility, Monostroma obscurum produces flavonoids (a type of antioxidant) to protect itself and resist environmental stress. Following the principle of marine biomimicry, at PHYTOMER, these flavonoids are used for their protective action against free radicals. 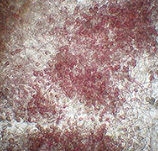 They act by protecting the collagen surrounding the wall of blood vessels. Asparagopsis armata is a red alga found in the Atlantic Ocean. It is composed of tufts of pink filaments and thorns, thus its name “armata” (as in “armed”). It lives 50 cm under the surface of the water and is particularly exposed to surface bacteria and heat. Scientists at PHYTOMER have discovered that Asparagopsis armata has developed a high-performance self-defense system to respond to these environmental stress factors. It has amazing antibacterial properties. 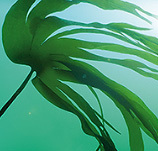 Following the principle of marine biomimicry, at PHYTOMER, extract of Asparagopsis armata (called Normaline), is used to purify the skin and combat imperfections. 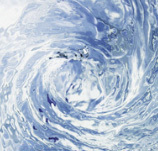 OLIGOMER® is a sodium reduced seawater concentrate; a worldwide exclusive product which is protected by a manufacturing secret PHYTOMER has held for 40 years. Scientists at PHYTOMER have discovered that, it contains all of the active components of seawater and trace elements necessary for the balance and vitality of the skin. It is used in most of PHYTOMER's face and body products to deliver remineralizing properties to strengthen the skin and recharge it with energy. 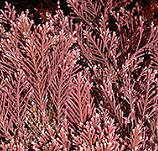 Palmaria palmata is a red alga that develops along the northern coasts of the Atlantic and Pacific. It is harvested in Brittany. It can reach 10 to 50 cm in length. Its narrow base expands and takes on a palmed appearance, which gives it its name. 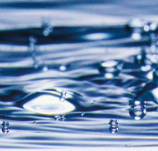 PHYTOMER scientists discovered that it has draining properties and a positive impact on skin microcirculation. They use it to eliminate built-up toxins and fluids under the eyes. PEPPER SLIMACTIV is a pure pink pepper oil obtained from the seeds of Schinus terebinthifolius, known as the "false pepper tree" native to South America, obtained by a high-tech 100% green method. PHYTOMER scientists discovered that this concentrated oil from pink berries is able to tackle stubborn fat to promote its elimination. It weakens the defenses of mature adipocytes to facilitate their elimination. At the same time it limits the maturation of young adipocytes to limit their formation. Its lipolytic action is 8 times more powerful than caffeine on fat*. This extremely powerful lipolytic oil is vectored to attack stubborn fat quickly and forcefully. 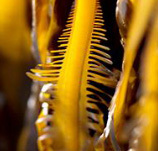 Laminaria digitata is a brown alga made up of long, finger-like strips, hence its name “digitata”. It generally measures from 1 to 1.5 meters, but can reach up to 4 meters. It grows in the North Atlantic and on certain African coasts. Scientists at PHYTOMER have discovered that the outside skin of this alga has a composition similar to that of our epidermis. 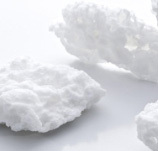 It is composed of a polysaccharide (marine sugar), amino acids, minerals and trace elements, essential components of the NMF (Natural Moisturizing Factor). Following the principle of marine biomimicry, PHYTOMER uses extracts from the skin of Laminaria digitata alga, which they call Pheohydrane. These extracts help restructure the hydrolipidic film and improve moisture retention in the skin. 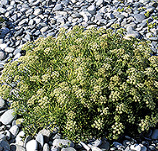 Marine Criste is a plant found growing on the seashore, between pebbles, in cliff fissures and on rocks. Its size varies from 20 to 50 cm and, in summer, it produces compound umbels of yellow flowers. It can be found on the coasts of the English Channel, the Atlantic and the Mediterranean. Scientists at PHYTOMER have discovered that the oily extract of Marine Criste is as effective as retinol, without the irritating effects: this is why it is called “sea retinol”. They use it as part of the RETINOCOLLAGEN C complex to produce visible effects on the smoothing of wrinkles and a radiant complexion. 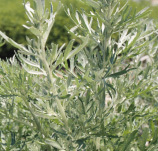 PHYTOMER has incorporated Sea Absinthium, or Artemisia Maritima, into GLYCOLIGHT, a coastal plant that grows naturally along the salt marshes, estuaries and salt meadows that border the Atlantic and the English Channel. This marine ingredient, with formidable contouring effectiveness, battles sugars to put the adipocytes on a contouring diet*. 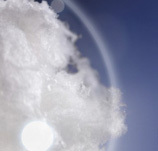 At night, Sea Absinthium limits sugar intake to slow down fat storage*. Upon awakening, it stimulates and optimizes the elimination of fat*. Night after night, the figure is refined, fat appearance is visibly reduced. Sea Gorse is a spiny seaside shrub characteristic of the Brittany landscape. It develops on acidic granite soils. It is mainly found in the west of Europe, from Scotland to Portugal, and in France, notably in the Brittany and Vendée regions. 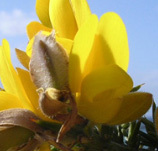 Scientists at PHYTOMER have discovered that the incredible resilience of Sea Gorse is due to its rich composition of phytosterols. These act on its growth and survival, protecting it from premature aging. Following the principle of marine biomimicry, at PHYTOMER Sea Gorse oil is used to stimulate cellular vitality (renewal and cohesion) and thereby boost the skin's youthfulness. Sea Grape, or Coccoloba uvifera, is an exotic seaside grape native to the Antilles Islands, the East Coast of Central America and the Northeast Coast of South America. 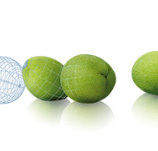 PHYTOMER scientists discovered that this high-performance ingredient, unprecedented in the cosmetics world, has the exceptional power of balancing the functions of genes involved in the appearance of cellulite. It suppresses the genes that control the synthesis and storage of fat cells, resulting in less numerous and less voluminous cellulite areas. And, on the other hand, it improves the expression of the genes that control the production of dermal cells to improve firmness and minimize the amount of dimpled skin*. 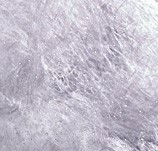 Succharide is composed of a sugar extracted from the brown alga Laminaria digitata, combined with an amino acid (arginine). - on the dermis, by increasing the synthesis of collagen and elastin. Off the coast of Brittany, in the Iroise Sea, the PHYTOMER scientific team has identified a plankton micro-organism capable of naturally producing a sugar with exceptional retexturing properties: VMR*. 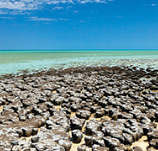 To collect this unique marine sugar, which has no land equivalent, PHYTOMER researchers have developed a high-tech program to cultivate it in a laboratory. The result: A 100% natural, retexturing, biotechnological active ingredient that creates a new skin texture**. VMR immediately improves the skin's capacity to rehydrate itself, even as it is subjected to extreme stress. It accelerates and improves cellular renewal, limiting the accumulation of dead skin cells on the surface of the skin. 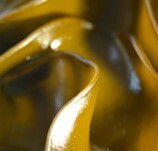 Pores are refined, the skin texture is finer and smoother. The epidermis is “healthier” and denser. * Visible Marine Refiner. ** In vitro tests on the ingredient. Off the coast of Brittany in the Iroise Sea, the PHYTOMER scientific team identified a plankton micro-organism capable of naturally producing a sugar with exceptional youthful properties: XMF. 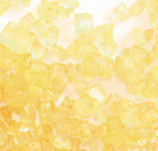 To collect this unique marine sugar, which has no land equivalent, PHYTOMER researchers developed a high-tech cultivation program in the laboratory. The result: a 100% natural biotechnological ingredient, smoothing and densifying. Applied to the skin surface, XMF creates an invisible natural film that instantly smoothes the appearance of wrinkles*: lines on the skin seem to disappear after 1 hour. It also acts inside the skin by stimulating the synthesis of collagen, elastin and hyaluronic acid. It helps add tension to these fibers for a denser and firmer skin mattress*: the skin is firmed and tautened, like after a facelift.